Police detained Samar Badawi with her two year old daughter. After a four-hour interrogation they brought her to Dhaban prison. The woman is charged with managing the social media profile of activist and ex-husband Waleed Abulkhair, currently serving 15 years in prison. Activists: "overwhelming evidence" of human rights abuses in Saudi Arabia. Riyadh (AsiaNews / Agencies) - Saudi authorities have arrested Raif Badawi’s sister. Raif is a famous blogger and human rights activist who was sentenced to 10 years in prison and a thousand lashes for "insulting Islam". Amnesty International reports that Samar Badawi was taken yesterday in the latest case of abuses committed in Saudi Arabia against human rights and civil dissent. Moreover these blatant violations have not prevented the appointment of Riyadh to the head of the Council for Human Rights at the UN. Police stopped Samar Badawi yesterday morning in Jeddah, along with her two year old daughter. The police, after having interrogated her for four hours, ordered her transfer to the prison in Dhaban. Raif’s wife, Ensaf Haidar, immediately posted a tweet explaining that her sister was arrested for having managed the social profile (WaleedAbulkhair) of her ex- husband - and prominent activist - Waleed Abulkhair. The man is serving a prison sentence of 15 years. Human rights groups condemned the detention of Raif Badawi’s sister, Samar, who is "the latest example of the contempt of Saudi Arabia for Human Rights" and the "overwhelming evidence" of the will of the authorities to "repress any form of peaceful dissent. " For four years the 31 year old Badawi has managed the Liberal Saudi Network, a site that encouraged discussion on the internet of the most important current events, politics and religion. He was arrested in 2012 and sentenced in first instance to seven years in prison and 600 lashes. However, the judges of the Court of Appeal considered the sentence too mild and increased the sentence to 1,000 lashes, 10 years in prison and a fine of 193 thousand euro. The verdict was upheld by the Supreme Court in June 2015 Saudi, who punished him for having created a "liberal" blog - later closed– and of "insulting Islam through digital media." The blogger was subjected to the first 50 lashes in January. 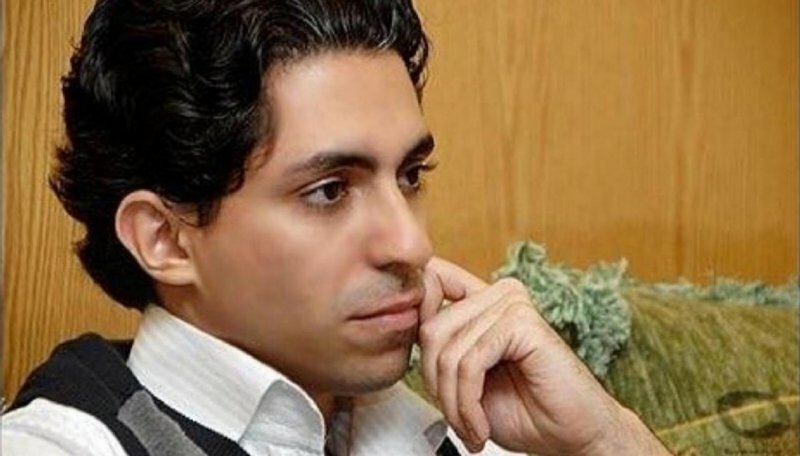 In 2015 Raif Badawi received two major awards for his actions in favor of freedom of thought: the Pen Pinter Prize for "the simplicity of” his “liberal goals" and the Sakharov Prize, the European equivalent of the Nobel Peace Prize. Saudi Arabia applies a strict version of Islamic law (Sharia) and does not tolerate any form of political dissent. Internet and social media such as Facebook and twitter are highly popular in the Kingdom. However, the authorities forcibly suppress all criticism, dissent or calls for change.